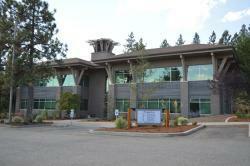 If you're looking for a dentist in Spokane, WA, you've come to the right place. TruDental is an established dental practice with a modern approach to oral care. Our goal is to provide quality care to every patient who walks through our doors, and we achieve this objective through attentiveness, open communication, and patient education. We are committed to providing optimal dentistry in a comfortable and caring environment. Going to the dentist can be a nerve-wracking experience for many, which is why TruDental in Spokane, WA, strives to offer gentle methods in a friendly, welcoming dental office environment. Through our highly trained, caring staff and personalized treatments, our goal is to give our patients the peace of mind that comes with knowing that they are well taken care of. This personalized approach is reflected in how we work together with and educate you regarding your oral health, and how we interact as a team. As a Spokane dental clinic, we believe in providing excellent dentistry based upon current research, techniques and materials. If you're in need of basic care or you've been diagnosed with a condition such as gum disease which requires treatment in Spokane, WA, TruDental is just a quick phone call away. Thank you for placing your trust in us. We look forward to seeing you! We invite and encourage you to learn more about our unique approach to dentistry. To speak to a member of our office staff or to set up an appointment, call TruDental today. Missing teeth can have a serious effect not only on your smile, but also on your oral health. Missing teeth can impact the alignment and integrity of your surrounding teeth, causing you further problems down the road. And missing teeth can also result in unwanted periodontal disease and decay. If you're missing teeth, come to TruDental, a Spokane, WA dentist office that provides dental bridges to patients in need. Are you tired of staring at that chipped tooth at the front of your mouth? TruDental may have the answer, and it comes in the form of dental crowns. As a trusted dentist office in Spokane, WA, we offer crowns for cosmetic and restorative purposes so that our valued patients can enjoy their smiles while preserving their oral health. Are you tired of walking around with unattractive teeth? TruDental may be able to help. At our dental practice in Spokane, WA, we offer veneers to patients looking to improve the appearance of their smiles. Dental problems don't always happen at convenient times. At TruDental, we understand that tooth pain and oral injuries can occur when you least expect them to. That's why we tell our patients in Spokane, WA that when dental emergencies arise, they shouldn't hesitate to give us a call. We offer emergency dentistry services to address dental issues that simply can't wait.